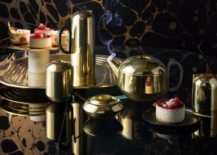 Showcasing a dash of Deco glamour and crafted from spun brass, the Form Tea Set channels and celebrates the art of the British tea service. 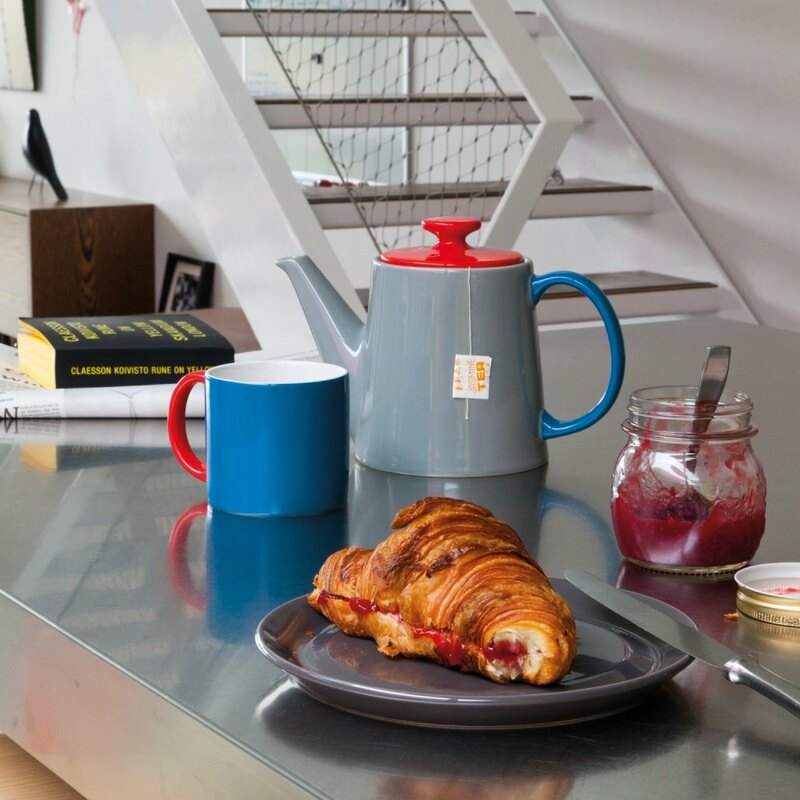 Bakelite insulating handles add a striking contrast in black. 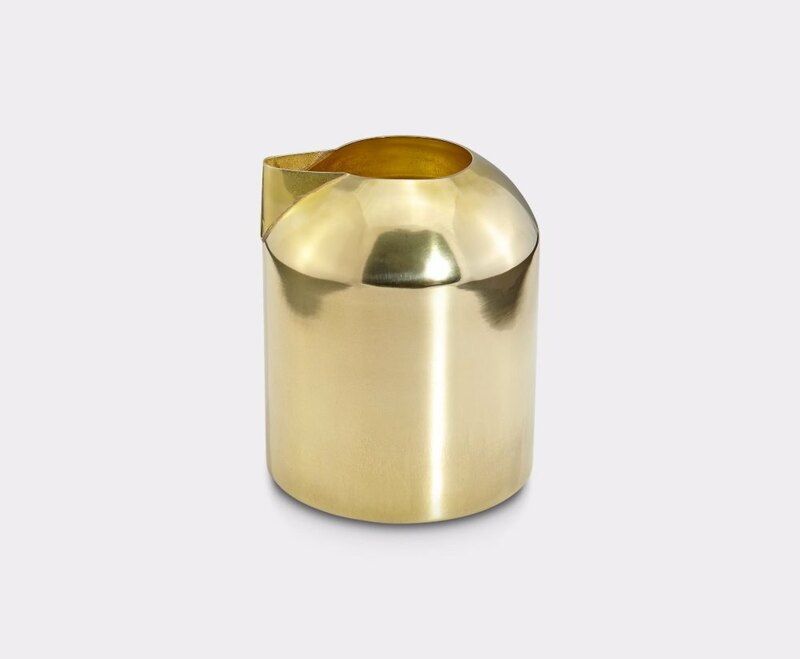 The pieces are dipped in a warm-gold wash that will oxidize over time, creating a patina. 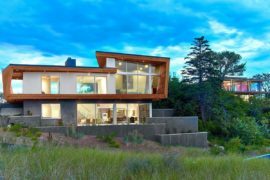 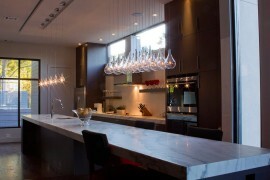 Liquids and a humid environment will speed up this process. 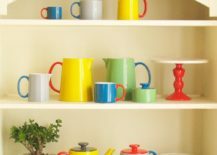 If you want to avoid the patina altogether, you can purchase the set for display, or only use the pieces to hold dry consumables. 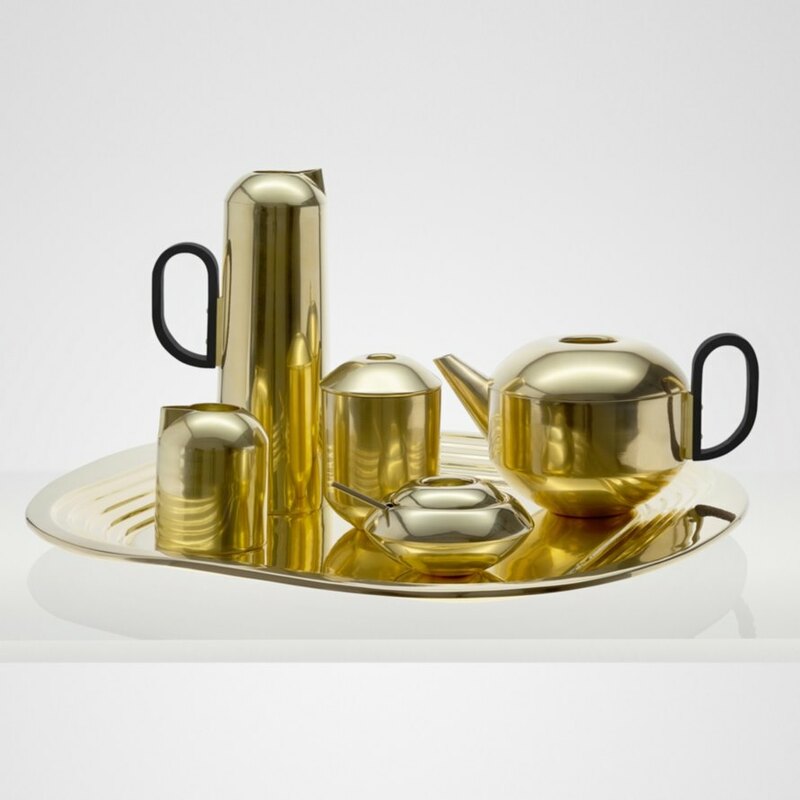 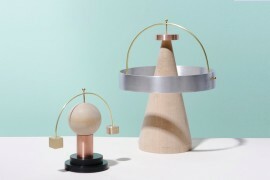 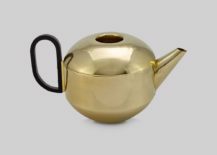 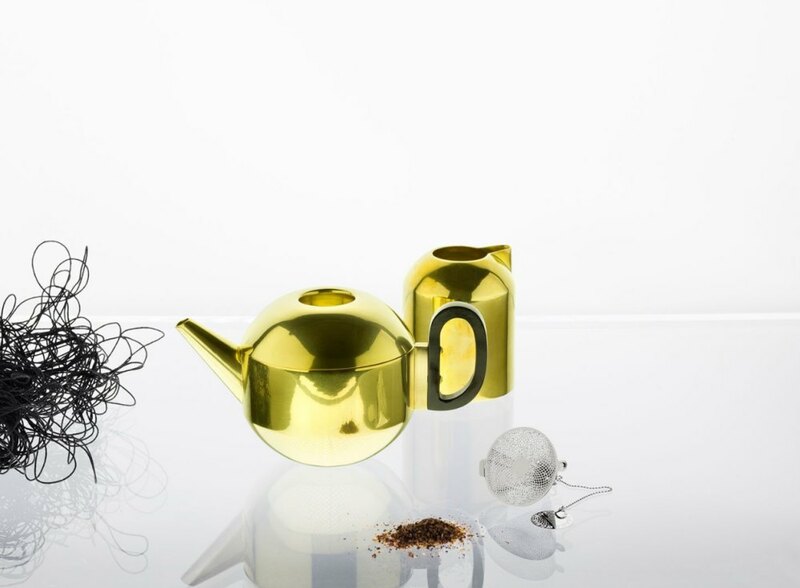 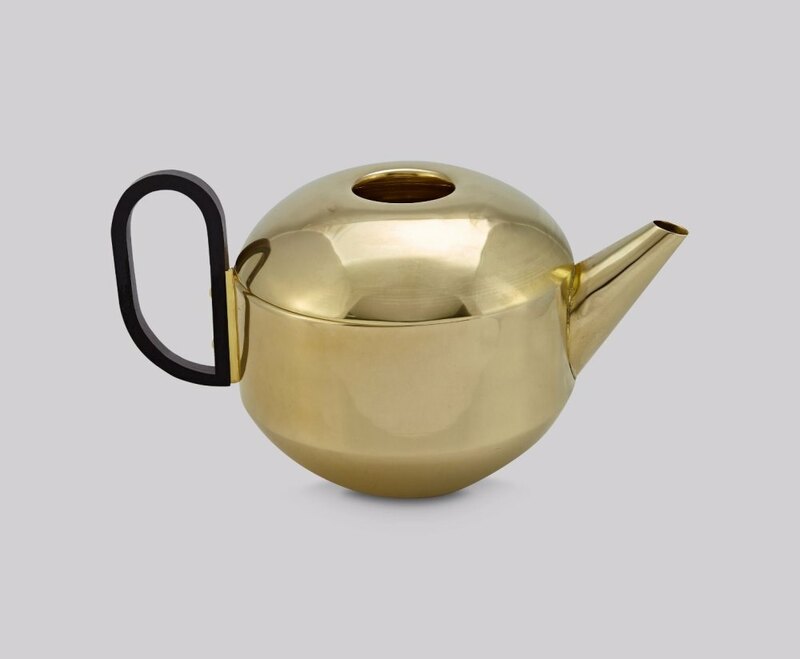 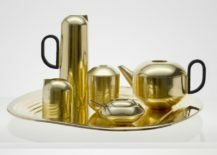 This Form Tea Set set showcases the iconic style of Tom Dixon while bringing retro flourishes to the forefront. 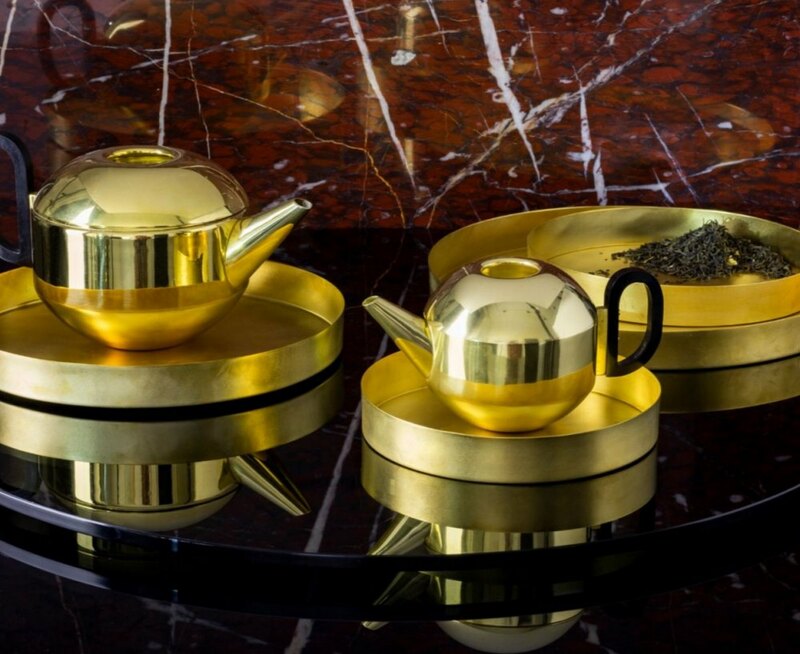 The perfect set for the tea aficionado who values modern glamour! 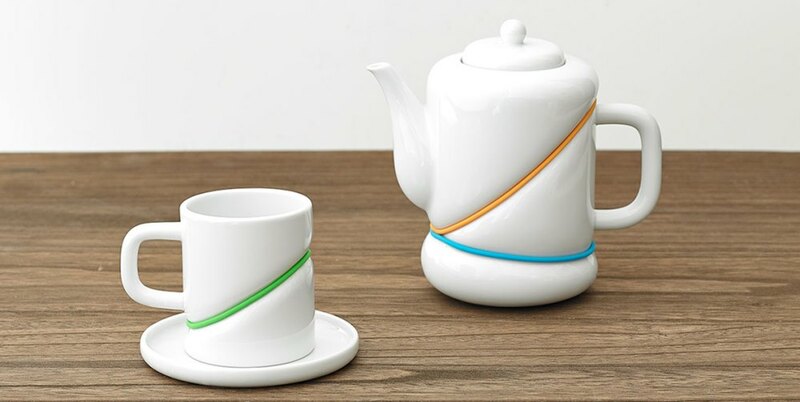 Playful, eye-catching truly unique, RUBBERBAND is the work of biaugust Creation Office designers Owen Chuang and Cloud Lu. 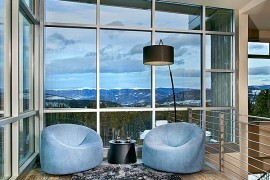 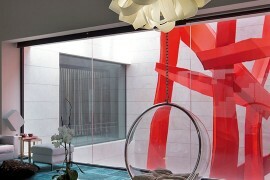 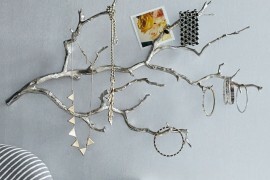 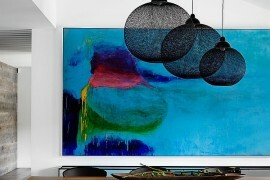 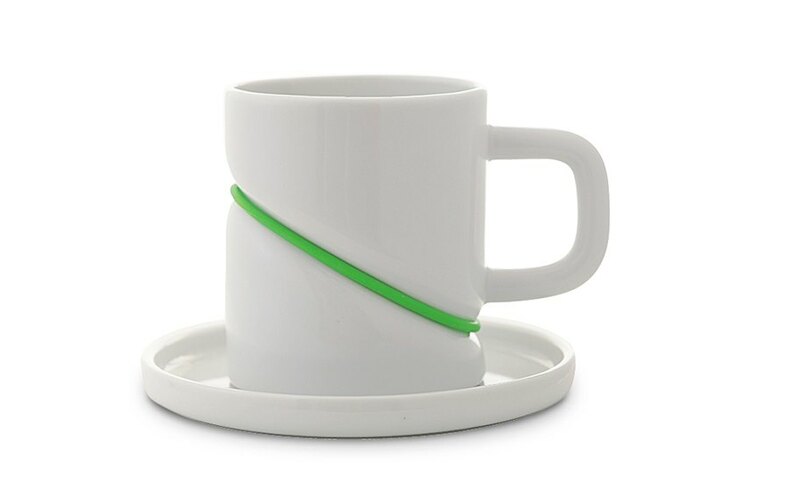 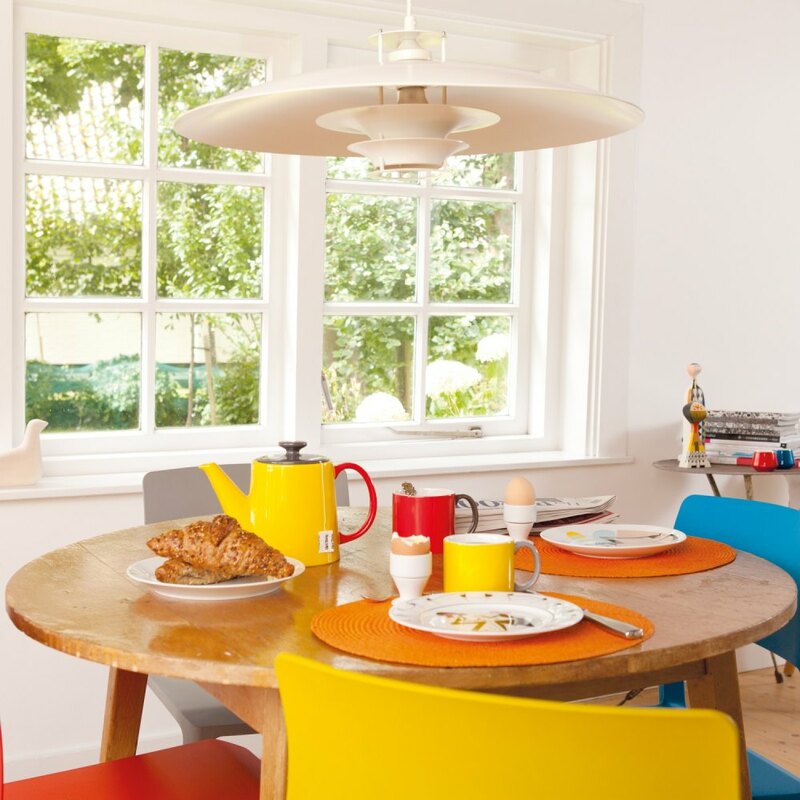 Available via TOAST, the RUBBERBAND collection “creates amazing and poetic atmosphere for life”. 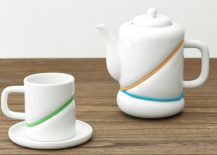 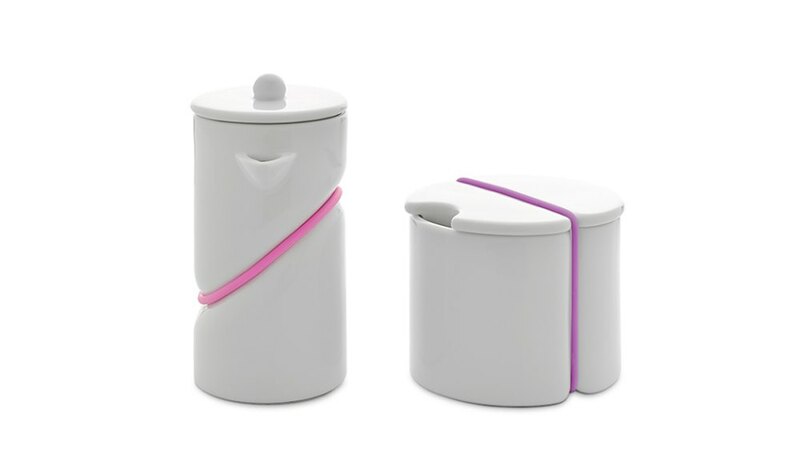 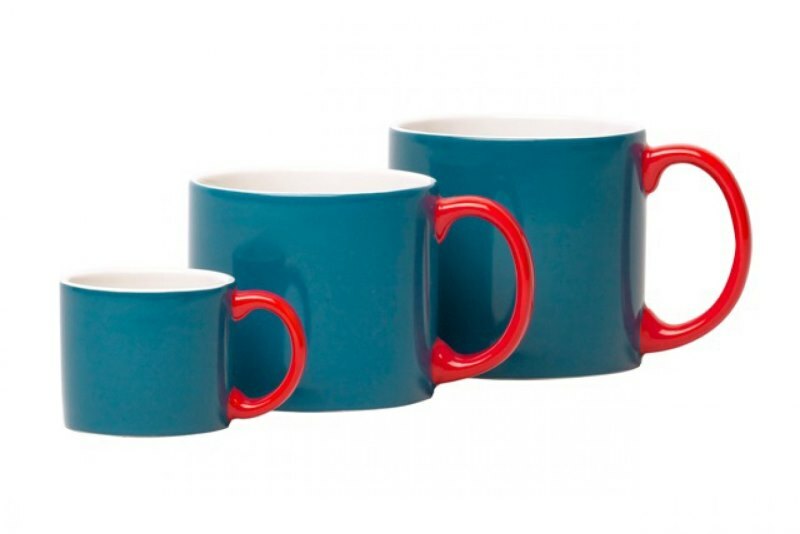 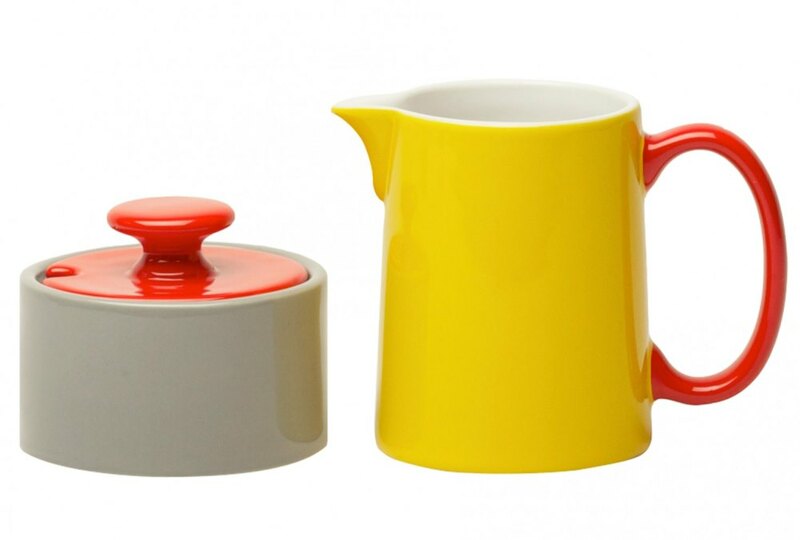 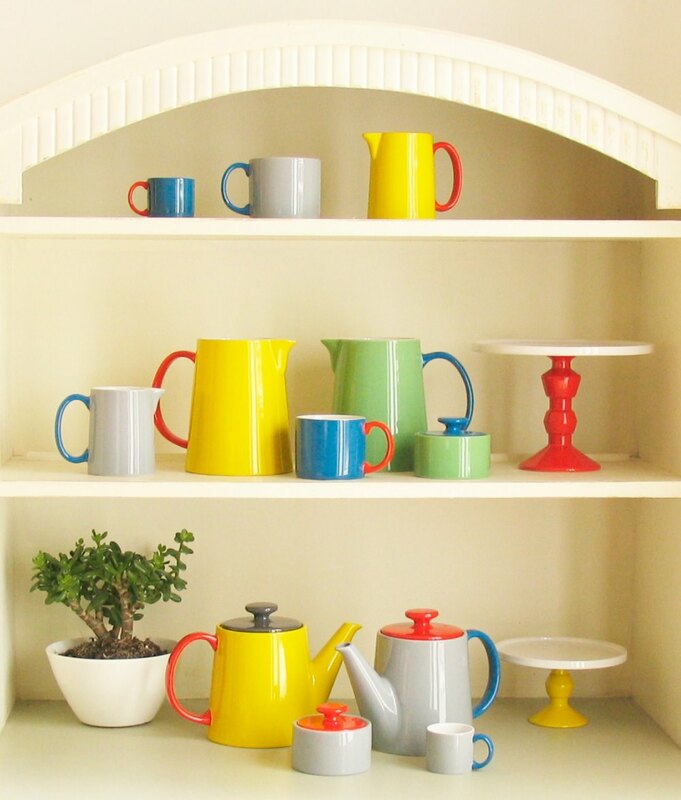 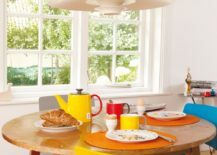 Complete with accessories such as the Sugar & Creamer Set (shown below), this line of porcelain products is colorful, striking, and truly functional! 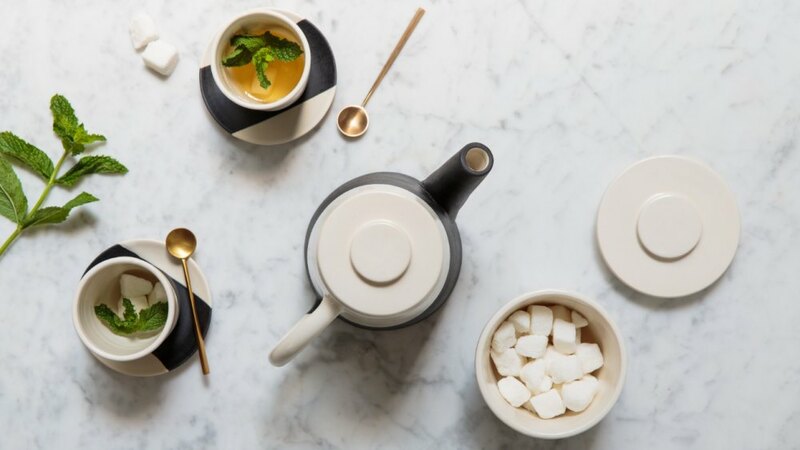 If you’re a tea lover who is also a fan of contrast, Shift Porcelain will grab your attention with its black and white design. 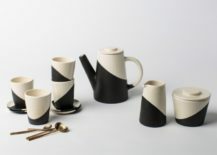 Available through Apparatus, the series began with a tea set that was hand made by Apparatus co-founder Jeremy Anderson. 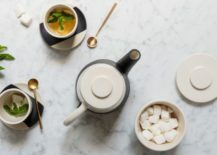 Anderson was inspired by the Moroccan ritual of offering guests mint tea upon their arrival, and he wanted a way to do the same for clients visiting the New York City studio. 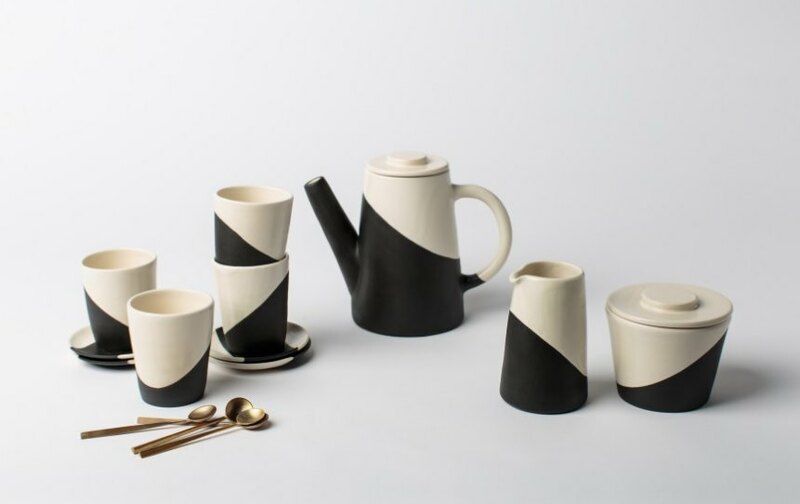 To achieve the geo black and white design, the hand-thrown porcelain pieces undergo a five-part glazing process, which includes applying three layers of matte black underglaze, and then masking and dipping the items into a white satin glaze. 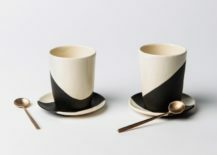 In case you were wondering, the brass spoons do in fact come with the Shift Cup and Saucer Set! Because there’s nothing more eye-catching than a dash of metallic flair to accompany a bold black and white design. 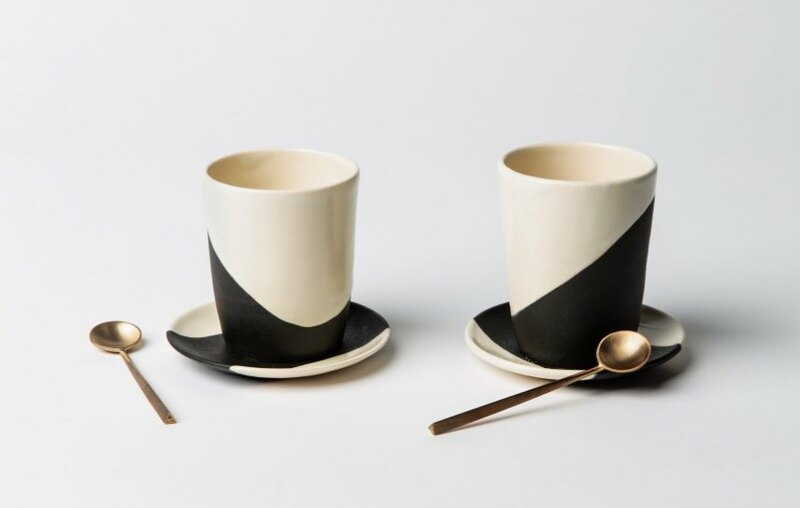 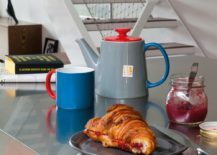 A wide array of products (available through Howkapow) can be mixed and matched, and the mugs are available in three different sizes for your convenience. 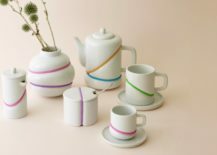 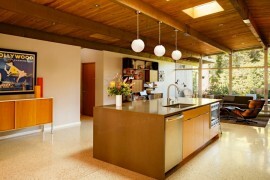 High-quality ceramic is the material of choice. 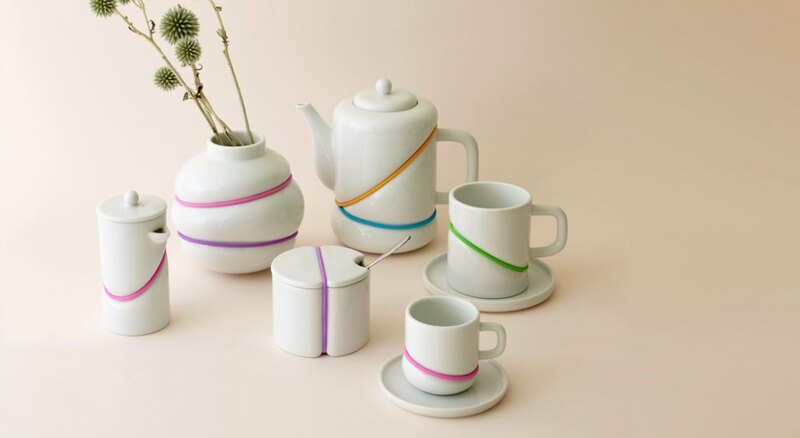 Perfect for the tea lover who enjoys piecing together the perfect radiant collection!